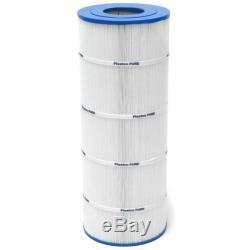 PWWCT200 Pleatco Filter Cartridge for Waterway Clearwater II 200. 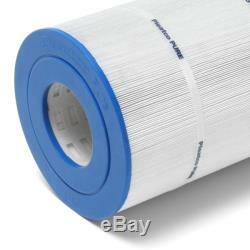 Pool/Spa Part - Pleatco - Filter Cartridge 200 sq ft, 8-15/16" Diameter, 23-1/4" Long - PWWCT200. See Owner's Manual for details. Trusted by Pool and Spa Owners Since 2006. PoolSupplyWorld has been serving customers as a pool and spa resource since 2006. We believe that prompt, courteous communication is one of our best qualities, and we're always looking for new ways to make shopping with us an easier, more convenient experience. Customer Service - You can reach us in one of three ways. We have relationships with the most popular manufacturers in the industry. We carry over 50,000 products. More than a Pool Store! We want you to count on us. 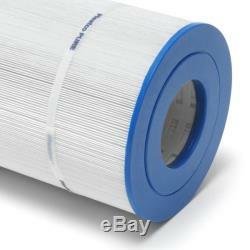 The item "PWWCT200 Pleatco Filter Cartridge for Waterway Clearwater II 200" is in sale since Wednesday, May 31, 2017. This item is in the category "Home & Garden\Yard, Garden & Outdoor Living\Pools & Spas\Pool Equipment & Parts\Pool Filters". The seller is "poolsupplyworld" and is located in Dallas, Texas. This item can be shipped to United States. Media Weight: 4 oz / sq.